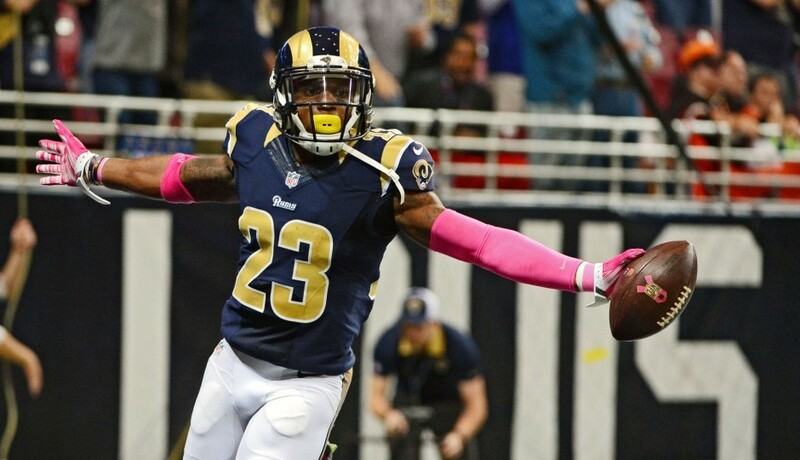 McLeod breaks down why he and Malcolm Jenkins could be the best safety tandem in the NFL. By Josh Paunil·	 5/26/2016, 10:00 a.m. Hyperbole abounds during free agency, especially after high-priced signings when teams guarantee tens of millions of dollars to their top targets. This is especially true in the honeymoon period shortly after the contract is inked, and the new addition meets with the local press corps for the first time. The Eagles have learned over and over again in recent years after being burned by such ill-fated moves, but even while speaking in the shadow of the DeMarco Murray and Byron Maxwell deals, Rodney McLeod wasn’t really exaggerating in March when he said he and Malcolm Jenkins could become the best safety tandem in the NFL. It remains to be seen what role McLeod will have in Jim Schwartz’s scheme, which will go a long way in determining how good of an investment the Eagles made in the $37 million safety, but his teammates and coaches don’t really seem to care how he’ll be deployed because of his varied skill set. Minutes after the Eagles agreed to terms with McLeod on the first day of free agency, positive reviews began to circulate. McLeod hasn’t been named to a Pro Bowl and his numbers aren’t overly impressive, but those most familiar with his game said the Eagles got a good one. McLeod’s new partner on the back end, Jenkins, doesn’t disagree. The first time people come in contact with McLeod, whether they’re adults or children, they always mention his 2014 hit on Emmanuel Sanders. During the Rams’ 22-7 victory over the Broncos in Week 11, McLeod concussed Sanders on a long incompletion down the right sideline. McLeod led with his shoulder and wasn’t fined, but he was penalized on the play. Although it’s a flashy play to have on McLeod’s highlight reel, it’s also a good display of the traits that make him a talented safety. 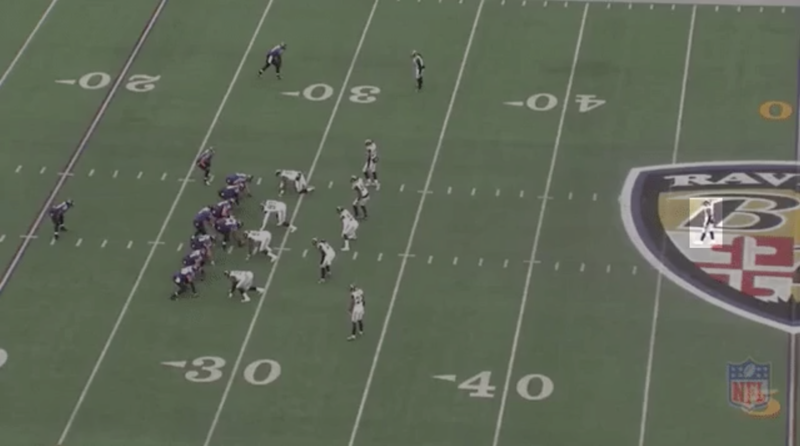 McLeod almost always lined up as the deep post safety in St. Louis, and he started this play 23 yards off of the ball. His coverage responsibilities sometimes varied a bit depending on if the Rams were in man or zone, but his overarching job never changed. “I had the same principle: don’t let the ball go over my head,” McLeod says. 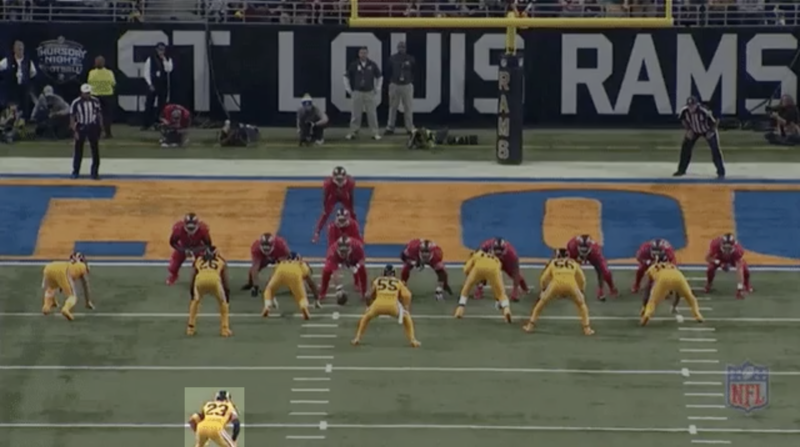 He was typically told to be about 20-25 yards from the line of scrimmage, which gave him some freedom to change his alignment based off his “feel” for what was coming. He cited a couple of key factors that determined where he lined up on this play. “They’re just about at midfield, and in between the 50 and 40 is usually the shot area where teams like to take a shot just to see whether they can connect or get a pass interference to set them up closer to the end zone,” McLeod says. Although McLeod is known as a hard hitter, he says he has to pick and choose his spots because of his size (“I’m not Malcolm Jenkins,” he notes). But on this play, the 5-10, 195-pound safety wasn’t sure if he could make a play on the ball in the air, so he chose the next best option. After primarily playing special teams in his rookie season, McLeod took over as a full-time starter at safety in 2013. In the last three seasons, McLeod has forced eight fumbles, which is tied for the league lead among safeties (Jenkins has seven). One such fumble came against the Cardinals in Week 4 last season. In the middle of the third quarter, with Arizona facing third-and-2 from their 38-yard-line, Carson Palmer completed a 22-yard pass down the right sideline to Larry Fitzgerald. After Fitzgerald took a few steps, McLeod, who started out 24 yards from the line of scrimmage, popped the ball loose. McLeod notes that he wanted to line up a bit deeper than he normally did because the corners were in press coverage and focused on taking away anything low and inside, leaving them vulnerable over the top. “That’s a play they run a lot,” McLeod says. 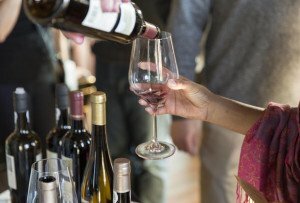 “We actually did a bad job from a technique standpoint from having double press. Usually one guy needs to be on and one guy needs to be off. It’s third-and-2, so you’re expecting slants, things like that. Nowadays, teams scheme up these rub-type concepts when people want to play press. It’s unclear how, exactly, McLeod will fit into the Eagles’ defense. According to Pro Football Focus, McLeod lined up in the box — which they define as within eight yards of the line of scrimmage — on less than five percent of the snaps last season. He played very well as the post safety, and it’d make sense for Schwartz to play him in a similar role, especially with Jenkins enjoying playing in the box. But in his limited snaps when he’s closer to the line of scrimmage, McLeod has had success. When he left that usual post spot, McLeod made some plays that were reminiscent of Jenkins last season when the Pro Bowler dropped down to slot corner in nickel. 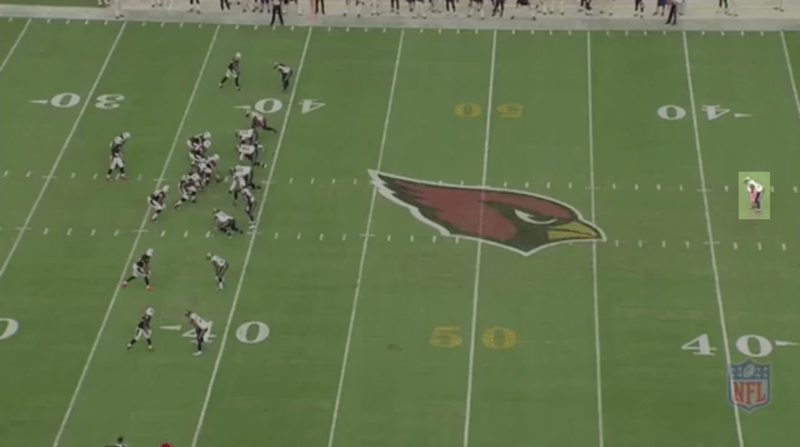 Against bubble screens, like the one against Arizona when he dropped John Brown for a one-yard loss, McLeod quickly diagnosed the play and closed the gap. On the flip side, McLeod also explained what goes into being a good post safety, which is where most of his impressive plays have come from. 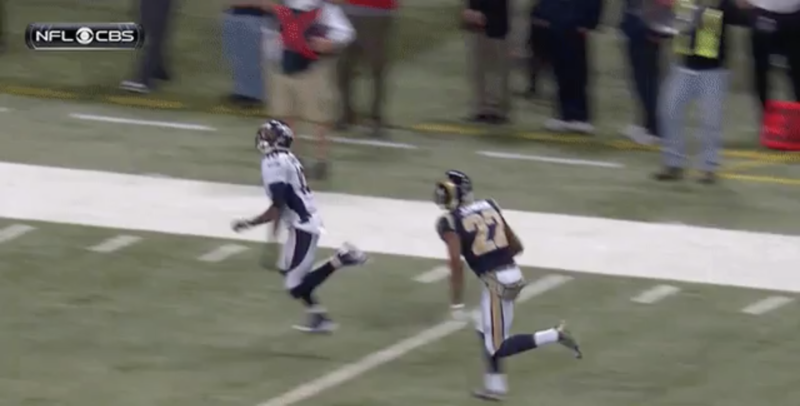 One example of that is McLeod’s interception against Baltimore last season. He only has five career picks, which the safety attributes to less opportunities to play the ball in the air because of how deeps he lines up, but occasionally he’ll be both well-positioned and fortunate due to an errant throw. 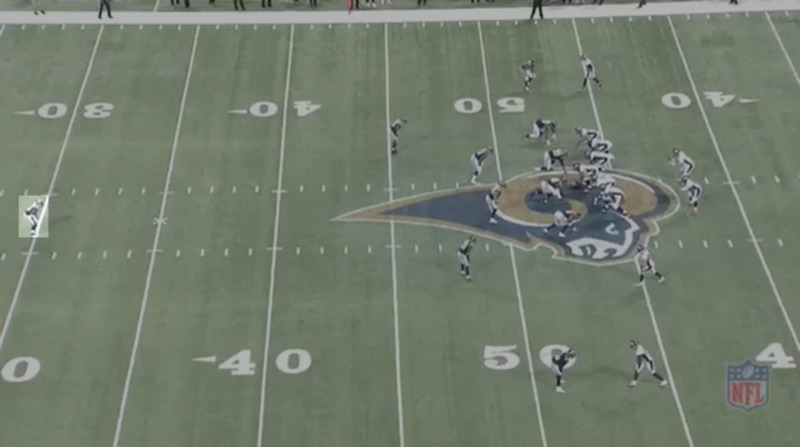 In the second quarter of the Rams’ Week 11 matchup against the Ravens, Baltimore ran a play-action pass on first-and-10 from their 29-yard-line. McLeod didn’t bite at all on the play-fake, and he got over top of Joe Flacco’s intended target as the quarterback sailed the ball a bit. “You just read linemen,” McLeod says. “During film study, I usually try to find one or two linemen that kind of give things away pre-snap, whether it’s high hat in their stance or anything I can pick up on. We call what they’re doing here elephants on parade — they’re all just moving sideways and not getting up to the linebackers or anything like that. There’s no need for me to come up. It’s not difficult to see why Schwartz likes McLeod. Although McLeod doesn’t have perfect size, he has the aggressive mentality Schwartz so often preaches. You can see the safety playing with anger at times, which can be especially apparent on run plays. McLeod explains that when he forced the fumble against the Bears during Week 10 last year, there aren’t many X’s-and-O’s to dissect. “This was a lot of frustration built up because we’re losing,” he says. In general, McLeod looked pretty good against the run last season, mostly because of his tackling. According to Pro Football Focus, McLeod recorded the 9th-best tackle rate among safeties, and he was reliable against elite backs like Adrian Peterson and Marshawn Lynch. While Jenkins noted last week that he’ll have to adjust to changing run fits after mostly being a force player on the edge in Billy Davis’ 3-4, McLeod says he had more ‘C’ gap responsibilities in St. Louis, which Schwartz will require of his safeties now in Philadelphia. 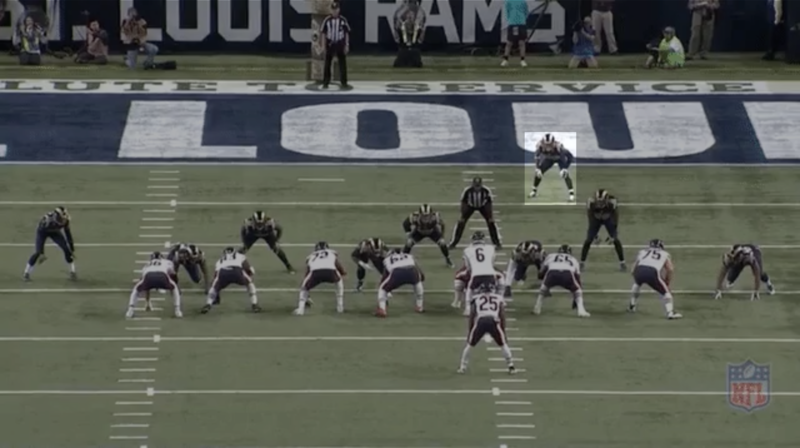 McLeod also spent some time behind the wide-9 front with the Rams under his last two defensive coordinators — Tim Walton and Gregg Williams — so what Schwartz asks of him won’t be entirely new. While it seems more likely that Jenkins will be in the box making plays against the run, McLeod is capable of doing the same. One of McLeod’s tackles against Tampa Bay in Week 15 last year was nullified because of an illegal formation penalty, but he quickly got down hill to meet Doug Martin close to the line of scrimmage. “First, I’m just looking at my run-pass key — the offensive linemen,” McLeod says. 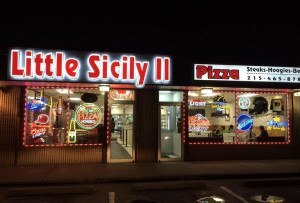 “The guard goes down, and they were in 13 personnel, so I cheated down. There’s no need for me to be 20-25 yards back, I moved up to 15. We knew Doug Martin was big in their offense and they wanted to run the ball a lot. I was just getting down hill as fast as possible. Now that McLeod is in Philadelphia, he’s learning from a former Eagle who also played beside a great safety. His position coach, Tim Hauck, started next to Brian Dawkins in 1999, and Hauck seems to have made a good impression on McLeod. McLeod mentioned a few elements of his game he wants to improve: reading the shoulders of the quarterback, working on his route recognition and eliminating routes as they come, and getting to the point where he can “feel” routes and keep his eyes on the quarterback. He also says the biggest challenge in changing schemes is that now zone principles turn into man-t0-man more often in Schwartz’s defense. As good as he looks on film, and as much as Schwartz has been impressed with him in OTAs so far, there’s no guarantee McLeod’s success will translate with the Eagles. Still, two months after his introductory press conference, McLeod’s goals in Philadelphia haven’t changed one bit. If anything, they only seem to have grown now that he sees what he’s working with.